The term ‘bistronomic cuisine’ is a blend of the words ‘bistro’ and ‘gastronomic’. Bistronomic-style restaurants combine the simpler bistro spirit with fine gastronomy by talented chefs, all at affordable prices. It first started when new chefs decided to escape from the world of the top gastronomic restaurants to express their creativity in a more relaxed setting. The dishes show off the techniques of their chefs with dishes that are as inventive as they are delicious. Enjoy seasonal dishes at Terrasses de Bonnezeaux. With its imposing architecture and industrial style glass canopy, this former station is now a charming bistronomic restaurant. Located in the heart of the Bonnezeaux vineyards, enjoy a gorgeous view while you savour seasonal dishes made with fresh local produce. 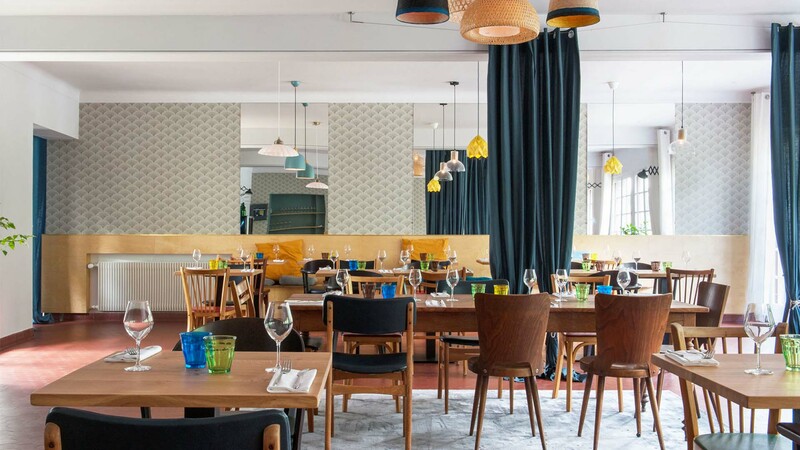 Le Dix Septième in Angers town centre is a charming restaurant that is ideally located for a gourmet stopover. Housed in an old 17th century building, the name of the restaurant is a nod to its past. You can enjoy fresh produce bought from local producers, plus everything is “home-made” by the chef on the premises! In the town of character of Clisson, you will find “La Cascade” restaurant in a location that reflects its name. Chef Adrien proposes refined, creative local dishes for you to savour in a cosy, bright and prettily-decorated restaurant. If you wanted to stay longer, La Cascade is also a charming hotel in a relaxing setting amid the greenery. 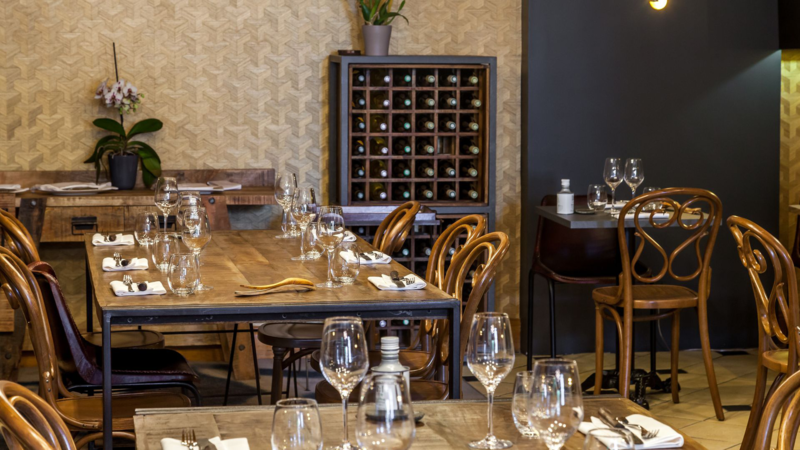 In the heart of Tours, the Bistrot des Belles Caves offers a broad selection of Loire Valley wines. These aromatic delights provide the perfect accompaniment for the dishes on the menu. To craft their recipes, Chef Pierre André Dupin and his team give preference to seasonal products, as well as using organic fruit, vegetables and herbs grown in their own garden. Enjoy the delicious bistronomic cuisine of Bistrot des Hauts de Loire on an elegant estate near Blois. Treat yourself to lunch or dinner in a welcoming and friendly atmosphere. Chef Rémy Giraud showcases seasonal products from the market to create authentic, gourmet dishes full of flavour. Only a few kilometres from the Chateau of Chambord, in the little village of Montlivault, try the bistronomic cuisine of La Maison d’à Côté - Côté Bistro. Chef Nicolas Aubrey formerly worked under starred chef Christophe Hay. With his passion for local producers and fresh vegetables from the restaurant’s own garden, the food will surely delight your taste buds. In Malesherbes, the l’Écu de France bistronomic restaurant is set in a charming 17th century coaching inn. In this delightful setting, enjoy the delicious cuisine of the Autumn/Winter and Spring/Summer gourmet collections. On sunny days, settle down on the terrace and courtyard garden surrounded by walls covered in Virginia creeper and wisteria!